This lightweight spa cover is a perfect replacement for the budget shopper. This cover is made with a high marine grade vinyl and tapers from 4″ at the center to 2″ at the edge. Aluminum C-Channel is installed on both sides of hinge for added strength. This cover is rated R-19. The polystyrene foam inserts are heat sealed in seven millimeter plastic. 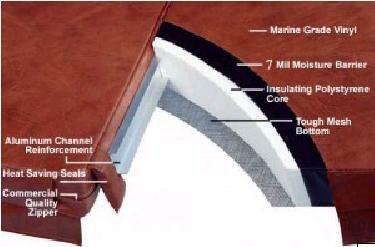 Double thick wrapping of foam inserts are available at an additional charge. Twelve different colors are available. 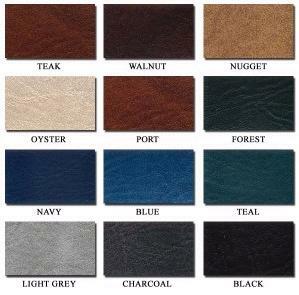 We stock teak and light grey and all other colors are an additional charge.